Beyond colorful hard-boiled eggs, there are many delicacies that factor into the traditional Easter meals enjoyed around the world. The foods vary by country and region and include sweet breads and pastries, meat and egg dishes, and plenty of cakes and cookies. The recipes are often quite indulgent, featuring the foods that were forbidden during Lent. You're sure to find inspiration for your dinner in the dishes that grace Easter tables in Poland, Italy, Lithuania, Greece, and England. 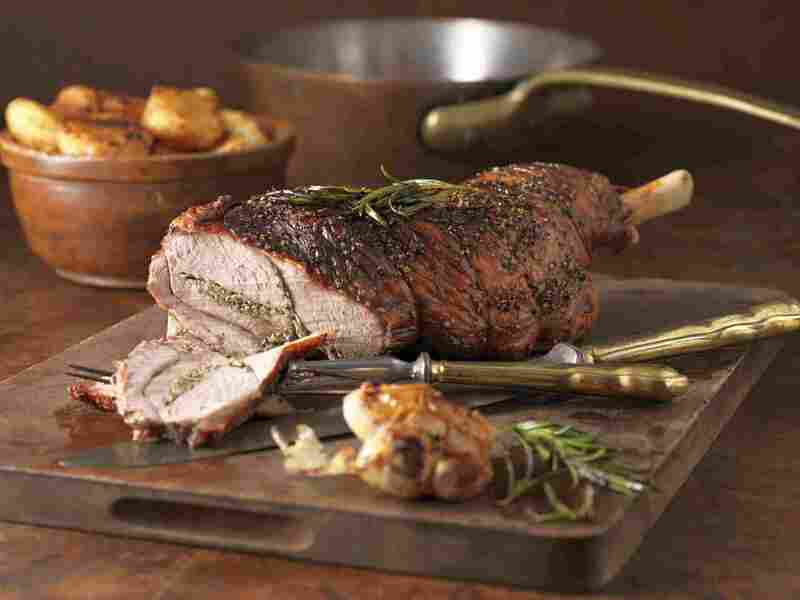 Lamb is the one food that is common in the Easter celebrations of many cultures. The roasted lamb dinner that many eat on Easter Sunday actually predates Easter—it is derived from the first Passover Seder of the Jewish people. You will find recipes featuring different flavorings and spices depending on the dishes' origin, but this simple version uses somewhat universal ingredients, like garlic, lemon, and herbs, which are rubbed on the lamb before roasting. In Poland, the Easter brunch buffet table is plentiful, showcasing some of the country's best dishes. One of the staples you will find is faszerowany jajka, which are stuffed eggs that are similar to deviled eggs, except they're broiled with a breadcrumb topping. They have a delicious filling of ham, cheese, sour cream, and mustard, making them hard to resist. The Polish Easter brunch also typically includes a ryemeal soup known as żurek. The base of the soup is żur, fermented rye flour (referred to as ryemeal sour), which is started the week leading up to the holiday. In the soup are biała kiełbasa, or Polish sausage, made from the family's own recipe, as well as potatoes and hard-cooked eggs. A white borscht soup, called either biały barszcz or żurek wielkanocny, is also a Polish tradition. Recipes for this dish are passed down through generations, so each is unique. Typically, you will find potatoes, garlic, sour cream, kielbasa, eggs, and rye bread as the ingredients. Braised red cabbage may be the easiest food on the Polish dinner table. Known as czerwona kapusta zasmażana, it often accompanies the main dish, which can be almost any meat, including roast leg of lamb, roast suckling pig, baked ham, and roasted turkey. You are likely to find a potato dish and horseradish on the table as well. If you use a food processor to shred the cabbage, you can put this dish together quite quickly. The cabbage and onion are sauteed until they begin to soften, and then combined with a mixture of water, vinegar, sugar, salt, and pepper and cooked down until soft and tender. Chałka is a braided egg bread that is very popular in Poland. It's rather fun to make and it is slightly sweet and dotted with raisins. A yeast dough of warm milk, butter, sugar, eggs, flour, and raisins is left to rise and then divided into three pieces to be braided. The loaf rises again and then is baked until golden. Any leftovers make a great bread pudding the next day. The adorable lamb cake is not just an American tradition, it is part of the Polish Easter table as well. You will need a lamb-shaped mold but can use a simple pound cake mix for this recipe to make it quick and easy. Decorate with a cream cheese frosting and use raisins for the eyes and nose. Coconut flakes died green work well as the "grass". Babka wielkanocna is a true representation of the celebration of rich foods after the Lenten fast. It is a yeasty cake made with a whopping 15 eggs, but this recipe uses only three to simplify a bit (and requires only one rise instead of two). While there are many recipes for babka enjoyed throughout Eastern European countries, you cannot go wrong with this traditional Polish recipe, studded with raisins and topped with a lemony icing if you prefer. Another sweet treat for a Polish Easter dessert is mazurek królewski. This flat pastry is relatively easy to make and it's very delicious. It is often topped with almond paste and apricot, cherry, or raspberry preserves. You can even add dried fruit and nuts if you like. Eggs and lamb are two important and symbolic foods at Easter for the Italians, and they join together—along with asparagus—in this frittata-like dish that is one of the best-known and most-loved Italian recipes. Brodetto pasquale makes perfect use of the early spring vegetable and can be served room temperature—something to keep in mind when preparing a large Easter dinner. Italian wedding soup (minestra maritata) or minestra di Pasqua (a traditional Easter soup made with pork, beef, and kale) are commonly served at the holiday meal. Sweet Italian sausage and tender greens give minestra maritata a satisfying texture and delicious flavor. Either soup is the perfect complement for lamb, which is almost always the main dish. It's also common to find at least one side dish that includes artichokes. 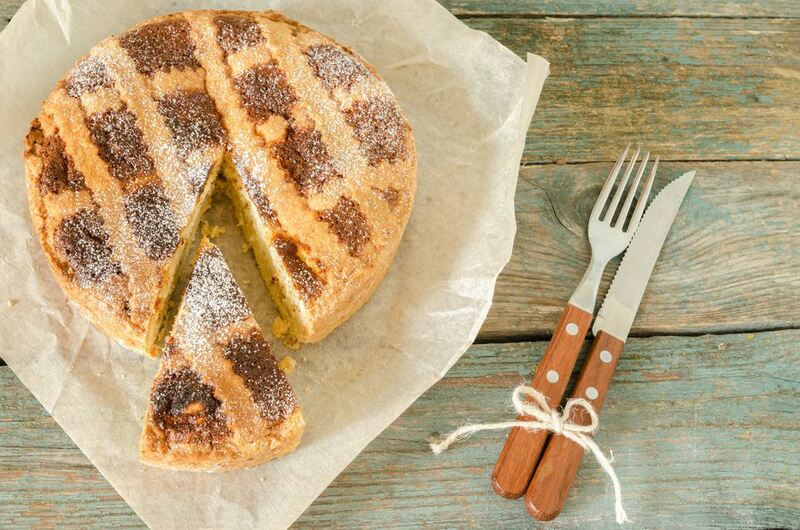 A popular Italian dessert is the Neapolitan grain pie (Pastiera Napoletana). This ricotta cake is flavored with orange-flower water (recipes will vary on the amount used) and a sweet pastry cream. The cake requires presoaked grain, which you may be able to find canned at some Italian delicatessens. You can make your own, but it will take about two weeks. After church on Easter morning, Lithuanian families return home to enjoy a special breakfast along with the foods from their blessed food basket. The family either shares an egg as a sign of unity or each enjoys a hard-boiled egg to symbolize rebirth. The main meal is dinner, complete with several traditional dishes. The entree is either a roast pig, chicken, ham, or lamb and you will most certainly find vedarai, a type of sausage made of potatoes. It may either be meatless or contain bacon, depending on the family's recipe. An Easter dinner in Lithuania will also often include cepelinai. These delicious dumplings are also called zeppelins as they are shaped much like the famous airships. The potato dumplings are very hearty and often filled with meat or cheese. This recipe features a pork filling and creamy bacon gravy. Potatoes are a big part of the Lithuanian diet and make another appearance in kugelis. This is a savory potato pudding that is a very traditional side dish and is also thought of as the national dish of the country, so few Easter dinners will be found without it. Grated potatoes are mixed with sauteed bacon and onion, eggs, milk, and farina and baked until golden brown. You'll also find several salads and many dishes that include mushrooms alongside a kugelis. With dinner, Lithuanians also serve a semi-sweet yeast bread with white raisins called velykos pyragas. This may be one of the best fruit cakes you'll ever try; it includes a variety of glaceed fruit, walnuts, and a delicious cinnamon-sugar filling. Desserts abound at a Lithuanian Easter celebration. You will likely see paska, a molded cheese delicacy—it's no ordinary cheese, either. The dry curd is sweetened, includes heavy cream and almonds, and is adorned with fruits and candies. The word paska literally means "Easter" so you will hear it often in Eastern Europe. A number of treats take on the name as well, and in Ukraine, it refers to a lovely sweet bread. Another time-honored sweet in Lithuania is the traditional poppy seed cookie called aguonu sausainiukai. The recipe is as easy as any other drop cookie and includes poppy seed filling and sour cream, and they're often dusted with confectioners' sugar. Although Greek Orthodox Easter falls on a different day than the Catholic Easter holiday, that doesn't mean there is a shortage of delicious delicacies. The Greek Easter feast actually begins after the midnight church service, but the main event is held on Easter Sunday. On every Greek household table, you will find lamb, red eggs, and tsoureki, an orange and spice-scented bread. The dough is braided and then died red eggs are nestled on top before baking, making for a festive and unique looking bread. While the lamb is cooking, it's customary for Greeks to snack on a variety of cheese pastries. Tiropitas are among the favorites. These delicious treats are flaky phyllo triangles filled with four different ​types of cheese. They may take a little time to make, but are the perfect bite to tide you over, and are great for breakfast too. Kalitsounia is a sweeter cheese pastry that is enjoyed most often on the Greek island of Crete. The rolled dough made with yogurt and brandy is filled with soft mizithra cheese, cinnamon, and orange peel. No matter if you choose to bake or fry them, these pastries are beyond delicious. Along with the pastries, Greeks enjoy several savory mezethes (appetizers). These often include olives, feta dip, and tzatziki. The tzatziki is a staple in Greece and one of the country's most famous condiments. It is a cucumber dip made with sour cream and yogurt with a hint of garlic. Not only does it make a great dip for warm pita triangles, but it can also adorn grilled meats and vegetables on the Easter table. Dolmathakia me kima is Greece's other famous meze. These stuffed grape leaves are irresistible. The filling combines rice, dill, mint, and either beef or lamb. It's hard to find a Greek celebration any time of year that doesn't include them on the holiday table. In Greece, the main course can begin with avgolemono, a quintessential Greek chicken soup that you'll also often find at restaurants. It is made with orzo and a lemon-egg mixture that is quite unique. It can also be served as a sauce for the stuffed grape leaves. Roasted potatoes just seem like a natural accompaniment to roasted lamb. A popular side dish to lamb in Greece is patates sto fourno. Potatoes are tossed with a mixture of olive oil, oregano, garlic, lemon juice, and chicken broth, and then roasted until nice and crispy. Possibly the most iconic dish from Greece is spanakopita, which can be found on nearly every dinner table across the country, especially at Easter. It can be in the form of a pie or individual triangles; spinach is mixed with feta cheese and layered between flaky sheets of phyllo dough. One taste and you'll discover why it's so popular. The Greek Easter has no shortage of dessert options, either, and galaktoboureko is a favorite addition. This delicious custard pie is made with flaky phyllo and then drenched in a citrus-flavored syrup. You do need to make this recipe the same day you plan to enjoy it, however, so make sure you plan accordingly. Koulourakia are butter cookies with sesame seeds that are quite fun to make. You can either twist, braid, or shape them into an "S," or make a combination of all three. You will often find them served with other desserts and strong Greek coffee as well as one of the famous Greek wines such as raki. It seems that almost every country celebrating Easter has its own special Easter bread or cake, and yet, hot cross buns are a favorite in many areas, especially in Britain. These individual spiced yeast buns are filled with dried fruit and drizzled with lemon icing in the form of a cross along the top. The tradition supposedly derived from ancient Anglo-Saxons who baked small wheat cakes in honor of the springtime goddess, Eostre. After converting to Christianity, the church substituted those with sweetbreads blessed by the church. An Easter lunch is the traditional meal in Britain and the main course typically features a delicious leg of lamb, perhaps seasoned simply with garlic and rosemary. It will often be served with a gravy as well as a fresh mint sauce. Typical British sides will feature spring vegetables such as cabbage and a recipe that utilizes the prized Jersey royal potatoes. A classic British cake for Easter is the simnel cake. It signals the end of Lent as it is filled with ingredients—spices, fruits, and marzipan—that were forbidden during the fast. As if that isn't decadent enough, chocolate often makes an appearance in both egg-form as well as dessert treats. This can include anything from a chocolate cake to chocolate mousse.